Home » News » Should You File A Nursing Home Neglect Lawsuit Related To Antibiotic Use? Should You File A Nursing Home Neglect Lawsuit Related To Antibiotic Use? A new study published in JAMA Internal Medicine found that one in eight nursing home residents experienced an adverse event related to antibiotic prescribing. Some of these patients were not prescribed the medications, but were affected by an increasing prevalence of antibiotic-resistant bacteria. During a two-year period, Ontario nursing home patients in facilities with the highest use of antibiotics had a 24% increased risk of an adverse event, said researchers. “Antibiotics are one of the most frequently prescribed medications in [nursing homes] where 6% to 10% of residents are taking antibiotics at any given time and more than half receive at least one antibiotic prescription in a single year. Much of this use is inappropriate,” reported Lona Mody, MBBS, MSc, of the University of Michigan Medical School, and Christopher Crnich, MD, of the University of Wisconsin School of Medicine and Public Health. They found that suspected urinary tract infections accounted for 30 to 56 percent of inappropriately prescribed antibiotics. Most patients received penicillin or second-generation fluoroquinolones. Adverse reactions included: the proliferation of Clostridium difficile bacteria, causing diarrhea, gastroenteritis and colitis; infection by antibiotic-resistant organisms; and allergic reactions. Backing up this study is an editorial published in the September 2014 issue of Annals of Long-Term Care. Researchers cited a cohort study of Massachusetts nursing homes that found 20 percent of all adverse drug reactions were attributable to receipt of an antibiotic. Their recommendations included advances in diagnostic testing to aid in the antibiotic decision-making process, which is all too commonly skipped. 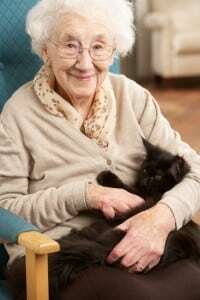 Should you file a Maine nursing home neglect lawsuit? Last year, Forbes reported that two-thirds of nursing home residents are prescribed antibiotics, and 27,000 people suffer from drug-resistant infections in these facilities each year. “Many will die,” they put it bluntly. If your loved one is in a long-term care facility, then drug-resistant infection should definitely be on your mind. They may tell you mom died from “pneumonia,” but was it really? Maine elder abuse lawyers atHardy, Wolf & Downing can help you get to the bottom of murky circumstances to determine what factors caused your loved one to become ill or, in the worst cases, to die. Victims of nursing home neglect or abuse and their families may be entitled to compensation for medical bills, emotional pain and suffering, loss of companionship, funerary expenses, and wrongful death. Most importantly, filing a personal injury lawsuit sends a message that such abuse or neglect will not be tolerated and discourages similar misfortunes from happening to other families. If you are unhappy with your loved one’s level of care, but feel your concerns have gone nowhere, the best friend you can have is a knowledgeable Maine personal injury lawyer with a track record of getting results. Hardy, Wolf and Downing have over 40 years of experience in helping Maine residents. If you live in the Portland, Lewiston or Bangor areas of Maine, call 800-465-8733 to arrange a consultation with our compassionate legal team.